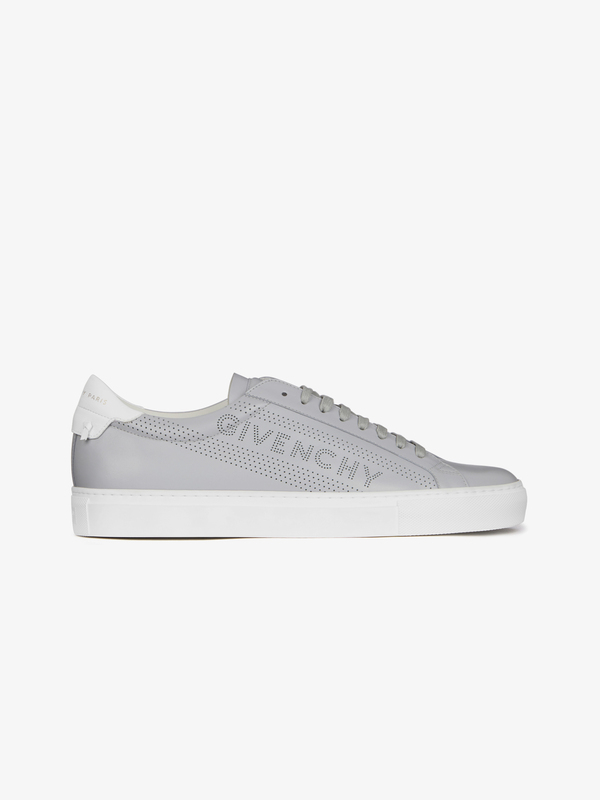 Urban Street low-top sneakers in matte gray leather with GIVENCHY signature and perforated bands on the sides. 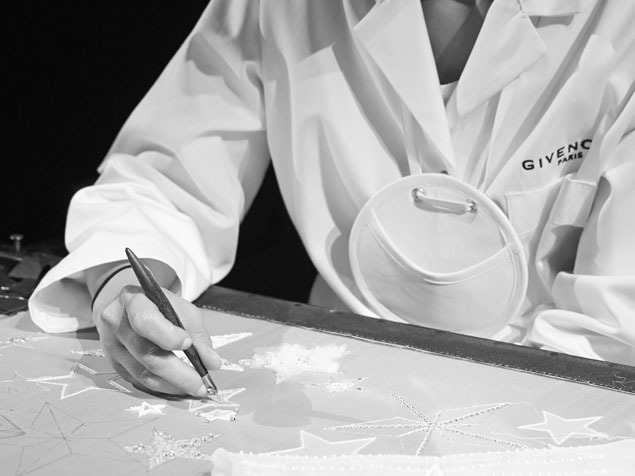 White leather inset on the back with gold GIVENCHY PARIS signature and knots. White insole and sole.